25 Ways to Say Good Morning! However! You can still do a virtual walk of the Camino on my new website Walking 4 Fun. There are currently 42 people virtually walking the Camino Frances (the Spanish section I hiked) and 7 people in the Chemin Le Puy (the French section I hiked). You can also drop in on it's Facebook page at http://www.facebook.com/Walking4Fun and say, "Buenos dias!" or "Bonjour!" (or whatever suits your fancy). Your Turn to Hike the Camino! You might be asking what I've been up to since I finished hiking the Camino. It's been about three and a half months since I ended my hike and headed home. At first, most of my time was spent catching up with work on Atlas Quest and writing blog entries. The blog entries became a morning ritual for me, writing until lunch each morning. I don't really much like writing and never really got into it--sorry about all the spelling and grammatical errors in my posts. I just didn't have the heart to ever go back and read what I wrote. I just wanted them DONE so I could get on with "better things." In the afternoons, I typically worked on Atlas Quest, catching up with all sorts of tasks and chores that piled up while I was gone. I finished the blog entries the first week of December, though, which finally gave me time to work on a new project--a walking website--and nearly all of my free time has been going into this new project ever since. It's an idea I wanted to run with for years but never seemed to have the time or drive to make it happen, but it was finally time to turn it into a reality. While I was walking the Camino, I made a point of taking at least one photo for every kilometer of the trail. By the end of the trail, I had about 7,000 photos--averaing about seven photos per mile. Not all of the photos are useable--many were essentially duplicates with different exposure levels while others were blurry--but I had a heck of a lot of photos, and I could turn them into a virtual hike. It works like this. 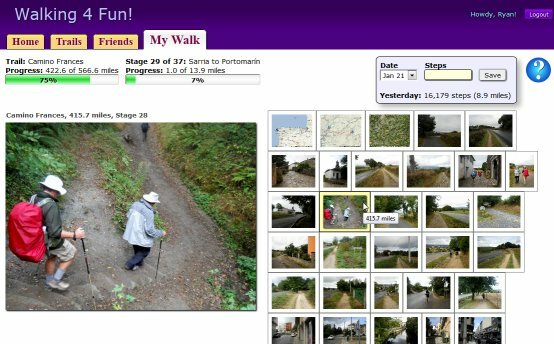 You walk around during the day, then you can log into http://www.Walking4Fun.com and enter how much you walked during the day. The website will show where you would be on the trail if you took all your steps on the Camino, including a nice little map with your position plotted onto it and photos of the section of trail you would have virtually hiked that day. 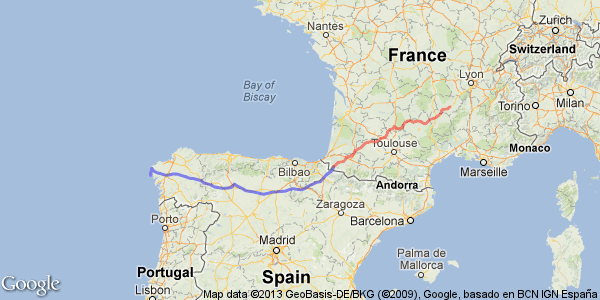 of the Camino Frances on December 1st of last year and I'm already 75% done by January 20th! I'm marketing it as a health/fitness/weight-loss type of website, because it's true--walking is healthy! I lost 20 pounds during my two months on the trail, and I could (and did!) eat absolutely anything I wanted to, as much as I wanted to, whenever I wanted to. In fact, I deliberately avoided anything labeled "low fat" or "diet" because I needed to consume more calories. It's like that on all of my thru-hikes. However, I'm well aware that walking around in circles around your neighborhood might grow monotonous, but I figured it might make walking a bit more fun to see your miles add up day after day and how far such miles could carry you. It's more-or-less coincidence that my new website is ready at about the same time this blog is coming to an end, but if you'd like to see more Camino photos--I used about 4,000 of the 7,000 photos I took on this hike--there are, quite literally, thousands of photos on it that I never used on this blog! But to see them all, there is a catch: You have to virtually hike the Camino on my new website. So sign up now (it's free!) and get walking! Unfortunately, I didn't think to take so many photos during my thru-hikes of the Florida Trail, Alabama Trail, or the Appalachian Trail, so those routes won't be added to this website. But you can bet any future hikes I do will be added! 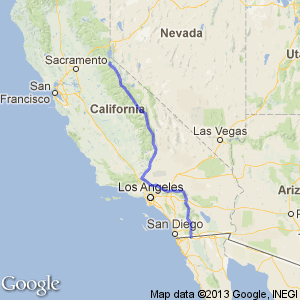 When I first wrote this blog entry (Jan 21), I added the PCT only as far as Lake Tahoe. completely entered into the database, though.